Brigade pedestals from HON feature best-in-class engineering and value-added features at a moderate price. 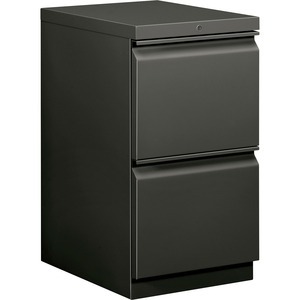 This 19-7/8"D pedestal has two file drawers and is ideal for managing active records. Full-width radius handle coordinates with Brigade 800 Series lateral files. Finish color is Charcoal.